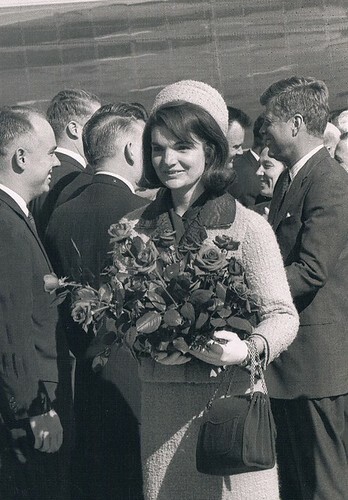 Postcard: First Lady Jacqueline Kennedy holding the red roses given to her by Mrs. Earle Cabell, wife of the Dallas Mayor. Behind her, President John F. Kennedy greets guests in the official receiving line. Photo taken on November 22, 1963, the day JFK was assassinated.